The nectarine tree is doing well also. After being sprayed a few weeks back there doesn’t seem to be anywhere near the curly-leaf on it this year. I removed a few leaves today and some a few days ago, but the blossoms are out in full swing and the hail has kept away – which is what knocked them off last year. The extra rain we’ve had has helped too I think. 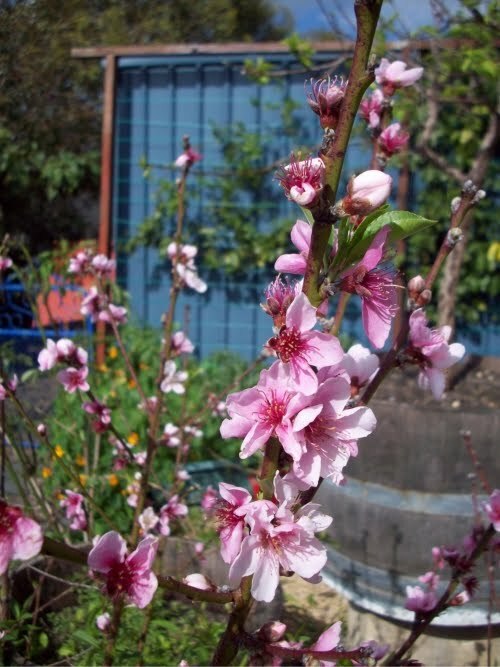 Like the apricot tree, I also have high hopes for the nectarine and wish to see it fruit this year. I has grown from a seed of a grafted tree that had two different nectarine varieties, so I am curious as to what it might be. 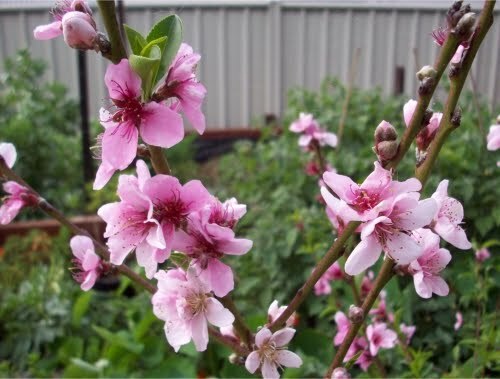 The nectarine was the first to flower last year, closely followed by the apricot and yet this year the apricot has nearly completed its flowering and the nectarine was sprouting leaves before the blossoms opened, whereas the apricot is really only now sprouting its leaves. It will be interesting to see what happens next year. It’s an exciting time of the garden year to have these trees that I have nurtured from seeds open their blossoms. Beautiful.